My next Journal to the Self workshop session is Scheduled! I was hoping to have one in January to help everyone whose New Year’s resolutions included “START JOURNALING.” But the next available weekend at the Cacapon State Park in Berkeley Springs, WV is March 13-15, 2015. I’m going to try and find another location for a January date, so watch this space! In the meantime, if you’d like to register for the March session, go to the Journaling Workshop tab and pay using PayPal. The following poem was sparked by one word – origami – which eventually became the title. One morning, I sat down to write in my journal with no great thoughts or troubles on my mind. Instead, I started writing about a special gift I had gotten for my birthday. My very dear friend and fiber artist Lyn McCormick (www.downwarddogfibers.com) had remembered that I once told her my favorite Christmas present in elementary school had been an origami kit. What else did she do but surprise me with one? So now, following in the instruction book, I have begun practicing the art of origami, developing the skill and precision needed to make each paper sculpture. More often than not, a successful poem is the result of writing what at first might seem obvious (origami is indeed “all about the folds and creases”) and keeping pen to paper until something a little less obvious appears. A little like origami itself, given you start with a flat sheet of paper and keep folding and creasing until it becomes a crane, a frog, a chrysanthemum. My poem started with the word origami and ended up being a reflection on something else entirely. It is all about the folds and creases. in a set of precise instructions. as if the first were a mistake. inside and outside reverse folds. This poem may not be copied, reprinted or redistributed without prior written approval from the author. Check out my listing on Retreat Finder: the online directory of spiritual and healing retreats! With fall arriving September 22nd, it will be “the holiday season” before we know it. Plenty of words have been written about not letting the holidays turn into stressful events that we can’t wait to be over. Words about coping with grief when family and friends aren’t around to celebrate, or disappointment when expectations for a happy occasion aren’t met. Reading all these words can be helpful, but WRITING about it all can help even more! Here’s where journaling comes in. There are journal techniques that will help you plan your time to make the holiday season go more smoothly. Using others, you’ll gain the freedom to express some of those emotions that you’d rather not share with others. At least one of the 18 different methods you’ll learn will help you understand a little better why you feel the way you do when those first turkey and pilgrim hat decorations begin showing up at the grocery store. Sign up for a weekend-long Journal to the Self retreat at Cacapon State Park in Berkeley Springs, WV November 14-16. 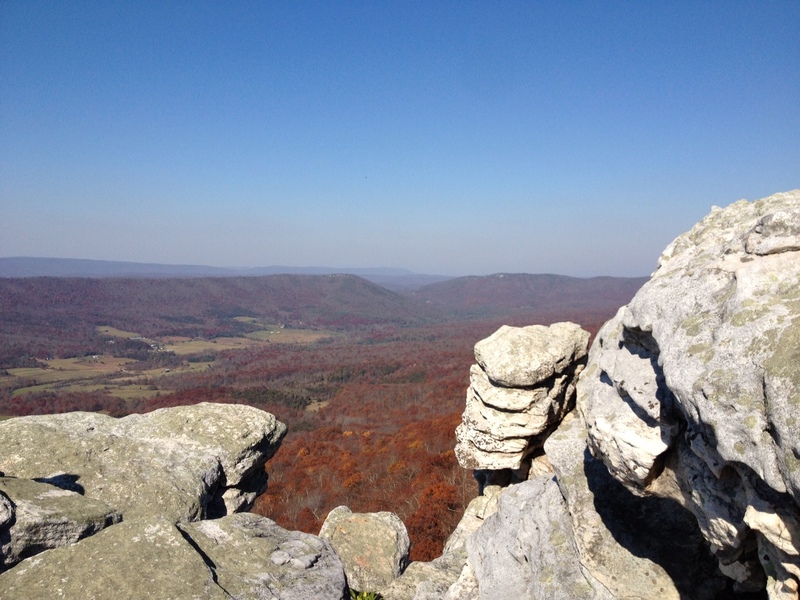 Located at the base of Cacapon Mountain, the highest mountain in the Eastern Panhandle of West Virginia, the State Park is offering discounted accommodations for the 12-hour workshop. For more information and to register, click here. Thinking about an exciting career change? Have you ever dreamed of owning and operating an inn in a beautiful vacation destination? Check out my dear friend Teri Anderholm’s website www.terianderholm.com for some fantastic properties in Bar Harbor, Maine and St. Croix, US Virgin Islands. I hope to be offering some journaling classes in St. Croix this winter! In Sunday’s Washington Post, an article about Shawn Achor, an expert on the connection between happiness and success, has this quote: “[I] encourage people to do meditation, tell students when they’re down to journal about a positive experience.” There’s a lot of research that suggests journaling can have a positive influence on how we cope with stress and difficult situations. My Journal to the Self workshop will teach you 18 different journaling techniques, even one from the business world on how to better manage your time.